Ram has unveiled the limited 2019 Ram Heavy Duty Kentucky Derby Edition, which celebrates the 145th running of the Kentucky Derby. The 2019 Ram Heavy Duty Kentucky Derby Edition is based on the top Limited trim. On the outside, it adds billet-appearance grille and body-color bumpers, while the interior gets Black and Saddle Brown leather seats, and wood and metal trim. 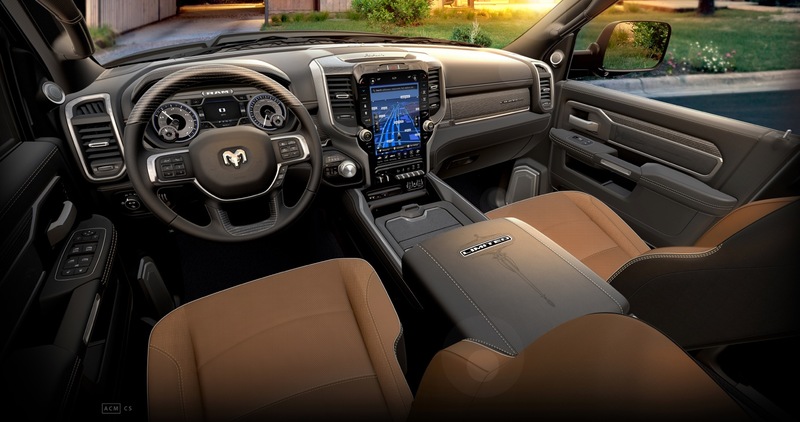 It also adds tech features, like the Uconnect 12-inch touchscreen radio with Sirius XM 360L and navigation, power-retracting running boards and Blind-spot Monitoring. To make it easier to tow up to 35,100 pounds, the 2019 Ram Heavy Duty Kentucky Derby Edition also adds a 360-degree surround-view camera with trailer-reverse guidance, fifth-wheel/gooseneck prep, active hitch grid lines, air suspension with bed lowering, Forward Collision Warning-Plus with trailer braking, bed step and DOT safety kit. The 2019 Ram Heavy Duty Kentucky Derby Edition is available on 2500 or 3500 Limited models with either the Cummins 6.7-liter Turbo Diesel or 6.4-liter HEMI V-8. Pricing starts at $66,890 for the Ram 2500 and the Ram 3500 starts at $68,240, the plus $1,695 destination charge. Production is limited to 1,000 units.